Determine whether imminent post-wildfire threats to human life and safety, property, and critical natural or cultural resources on National Forest System lands exist, and take immediate actions, as appropriate, to manage the unacceptable risks. If emergency conditions are identified, mitigate potential threats to health, safety, human life, property and values-at-risk. Prescribe emergency response actions to stabilize and prevent unacceptable degradation to natural and cultural resources, to minimize threats to life or property resulting from the effects of a fire, or to repair/replace/construct physical improvements necessary to prevent degradation of land or resources. Implement emergency response actions to help control water flow, sediment and debris movement and potentially reduce threats to the BAER values identified. Treatments may be applied when an analysis shows that planned actions are likely to reduce risks substantially within the first year following containment of the fire. Monitor the implementation and effectiveness of emergency treatments that were applied on National Forest lands. The BAER team presents these findings in an assessment report that identifies immediate and emergency actions needed to address post-fire risks to human life and safety, property, cultural and critical natural resources. This may include early detection and rapid response (EDRR) treatments to prevent the spread of noxious weeds into native plant communities. The BAER report describes watershed pre- and post-fire response information, areas of concern for life and property, and recommended short-term emergency stabilization measures for Forest Service lands that burned. In most cases, only a portion of the burned area may actually be treated. Severely burned areas, steep slopes, and places where water run-off will be excessive and may impact important resources, are focus areas and described in assessment report if they affect values-at-risk. Time is critical if emergency stabilization measures are to be effective. A BAER assessment team conducts field surveys and uses science-based models to rapidly evaluate and assess the burned area and prescribe emergency stabilization measures. The team generates a “Soil Burn Severity” map by using satellite imagery which is validated and adjusted by BAER team field surveys to assess watershed conditions and model potential watershed erosion and runoff from wildfire effects on the landscape. The map identifies areas of soil burn severity by categories of low/unburned, moderate, and high which may correspond to a projected increase in watershed response. The higher the burn severity, the less the soil will be able to absorb water when it rains. Without absorption, there will be increased run-off with potential of flooding. 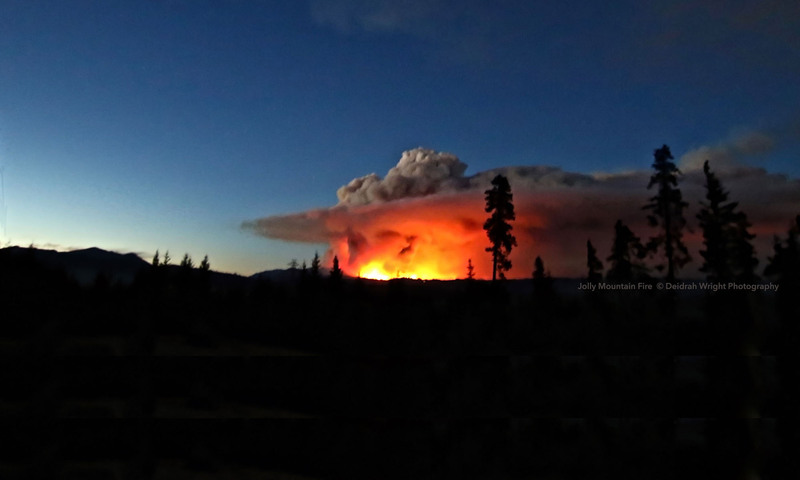 Because of the emergency nature of BAER, initial requests for funding of proposed BAER treatments are supposed to be submitted by the Forest Supervisor to the Regional Office within 7 days of total containment of the fire.